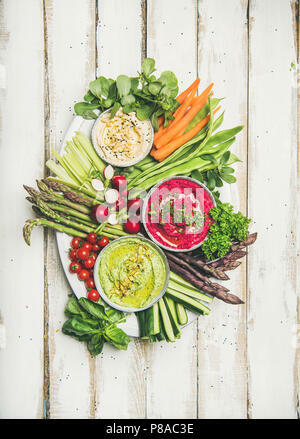 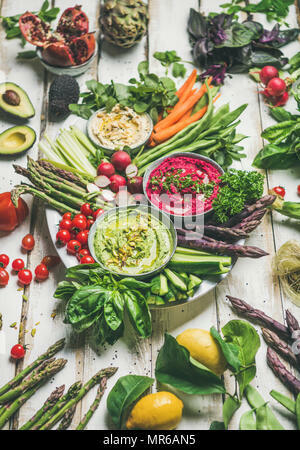 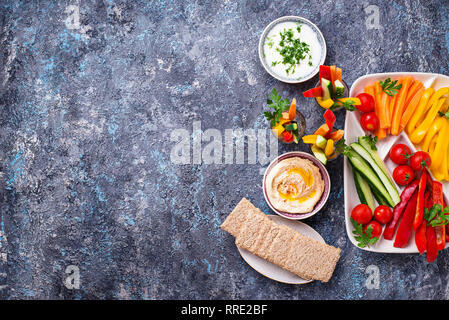 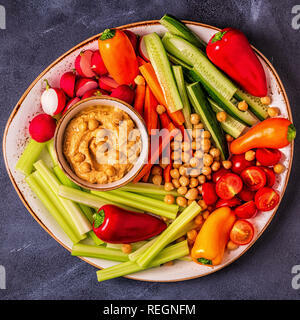 Hummus with various fresh raw vegetables, top view. 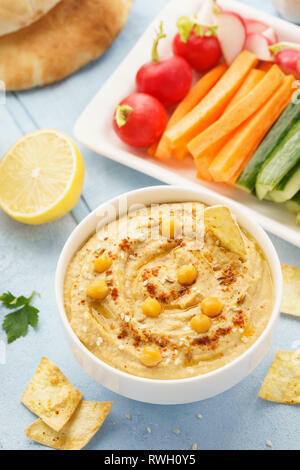 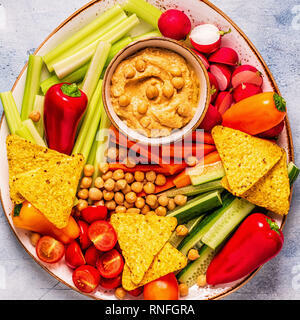 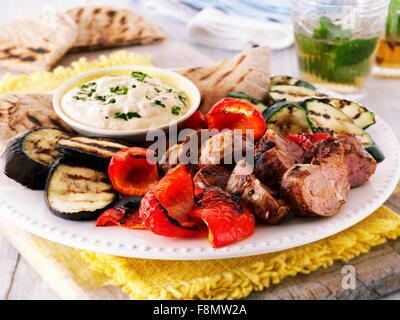 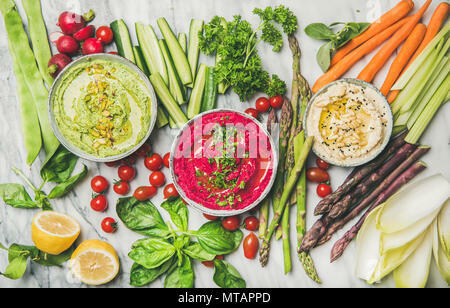 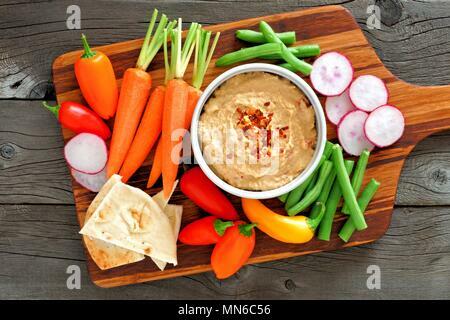 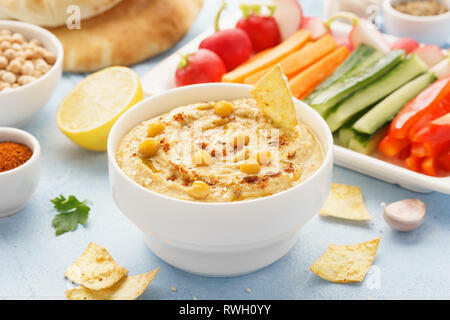 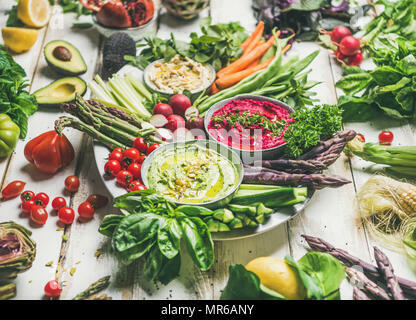 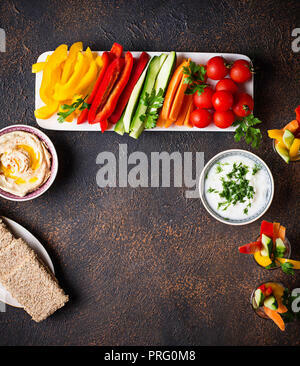 Hummus and variety of vegetable sticks and chips. 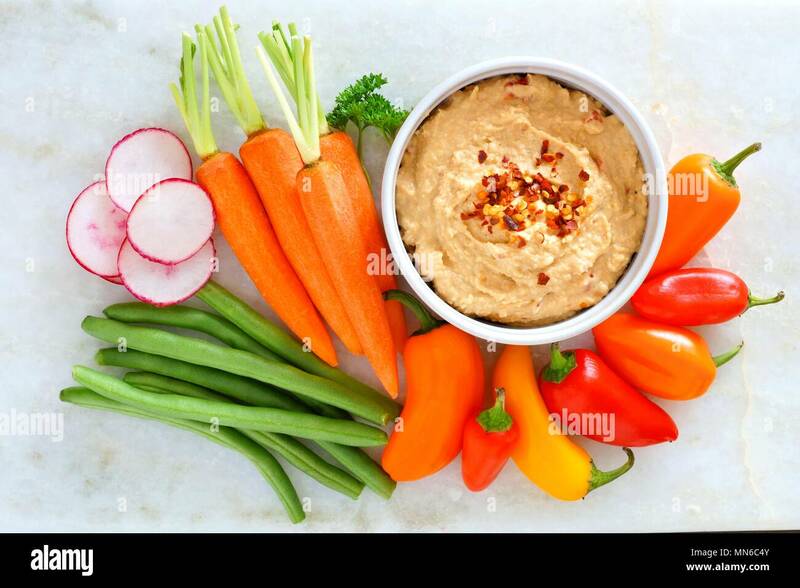 Healthy snacks.